Total Life Changes brings to market an all natural, organic herbal blend designed to cleanse and detoxify the body and aid people in achieving long term weight loss. People turn to this unique herbal blend designed to gently cleanse the digestive tract, detoxify the whole body, and aid them in safe, healthy and effective weight loss. 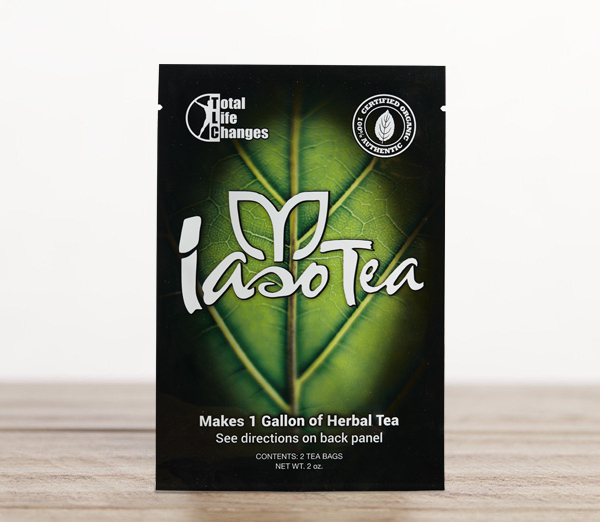 Tested, refined and rebalanced through the years, Total Life Changes cleansing and slimming tea known as Iaso Tea has shown results you see and feel to thousands. Discover more about this powerful herbal tea and see the testimonials of people who have used his remarkable tea continuously for many years. Iaso Tea formulations are 100% organic. WARNING: Iaso Tea contains cathartic herbs. Pregnant and nursing women, the elderly, children, and individuals suffering from any illness or health condition should consult with a physician prior to using this or any herbal supplement. IasoTea is not a drug, nor intended to diagnose, treat, or cure any disease or illness. You should consult with your physician before starting this or any other cleansing exercise or weight management program.